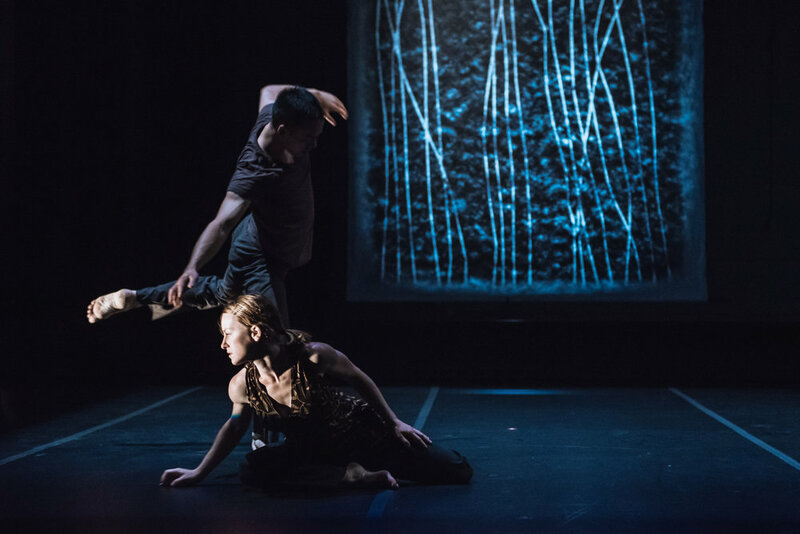 The four kinetically charged and visually arresting works that make up SplitScreen all have one unusual feature in common – each dance presents two distinct, but synchronous, lines of action. solo from locus plot suspends a solitary figure within the yielding curves of the void while a tiny cluster of dancers measure the pace of eternity. 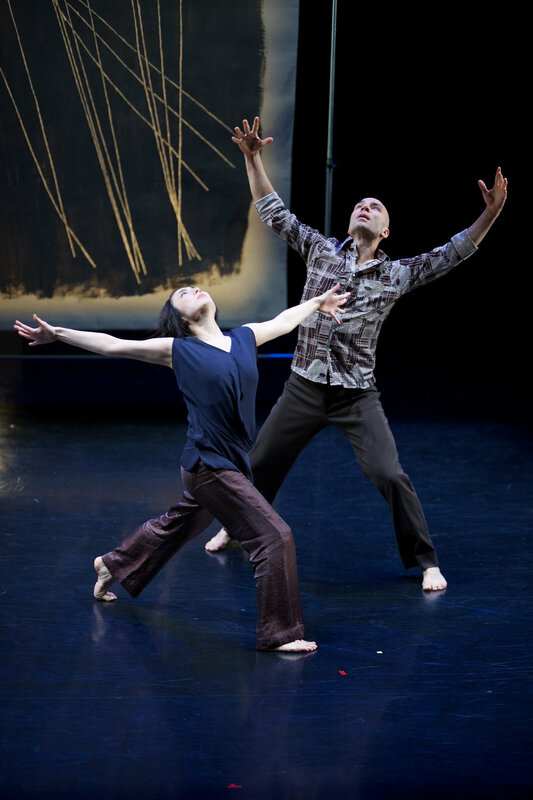 For Yang, two men vie for dominance in the same time and space, simultaneously performing different versions of the same physically virtuosic solo. 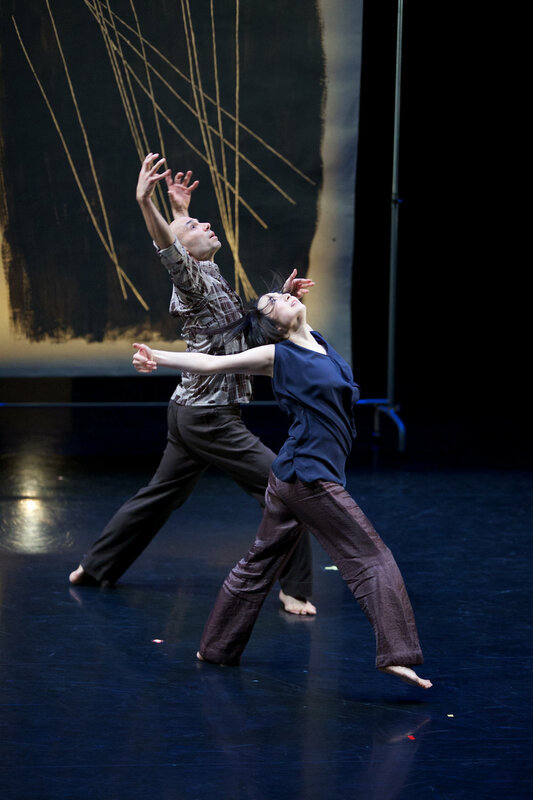 Split Screen Stereophonic is a high intensity double duet that uses a stage divided in two to contrast two couples each veering unstably from intense connection to breakdown and collapse. 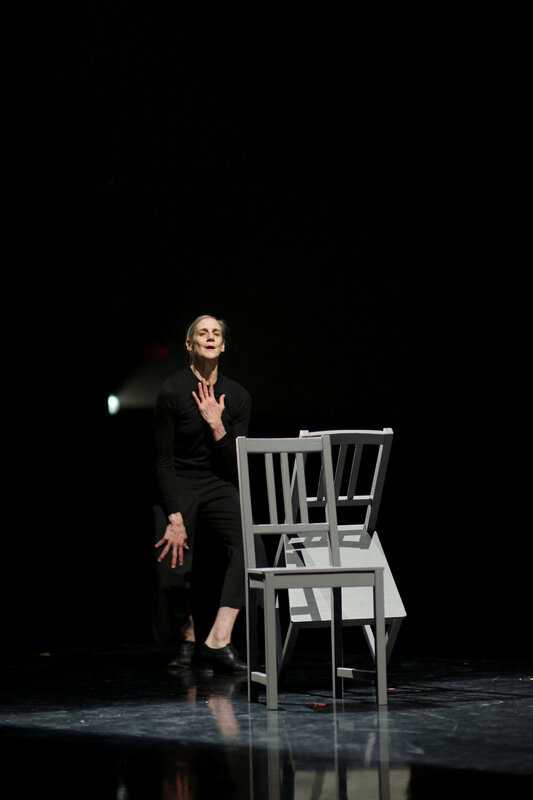 And epilogue, a meditation on absence and loss, is both a solo for a dancer and a duet for a pair of chairs that emerge as players in the story of a dismantled relationship. As well as showcasing some of the most extraordinary dancers in the Toronto scene, SplitScreen features startling and powerful soundtracks by leading figures in the world of electronic music: John Kameel Farah / Toronto – Berlin; Thierry de Mey / Brussels; Knuckleduster – Debashis Sinha / Toronto & Robert Lippok / Berlin; and Tim Motzer / Philadelphia. It’s the kind of piece you really want to see several times. Dramatic pauses and sharp gestural patterns.